I boarded the first flight of the day, which was at 6.15am...not my best choice, but it was the only available on Jetstar. Lugging It all the way to Hobart. Lol. Miaw , à friend from USQ came to pick me up at the airport. 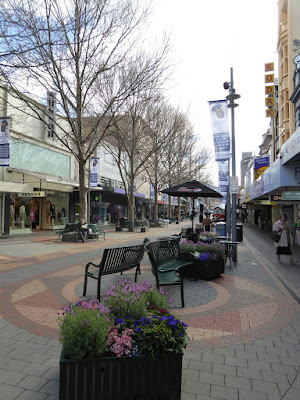 There was lots to do, and lots to explore and see in the city of Tasmania. 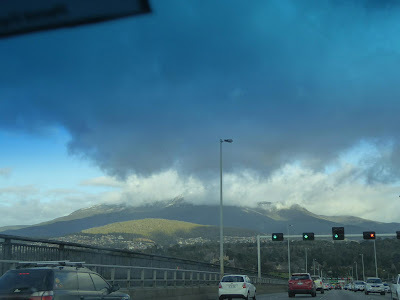 This picture was taken on the way to Hobart CBD in Miaw's car. Notice the mountainous snowy peak that can be seen from the city. After reaching the city, we headed to Uni of Tasmania, and I had a bit of rest there before heading out to explore the city. 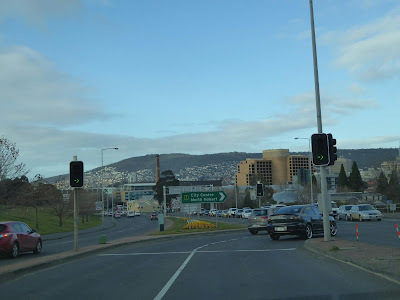 Then I headed off to the CBD Waterfront in Hobart... it was really pretty with loads of pictures. 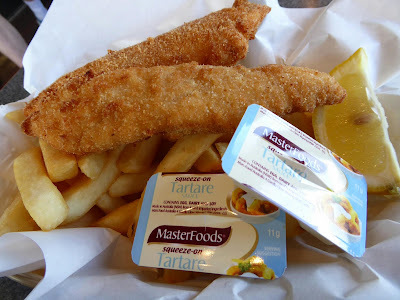 Fish and chips at Mako for lunch, near the CBD waterfront. 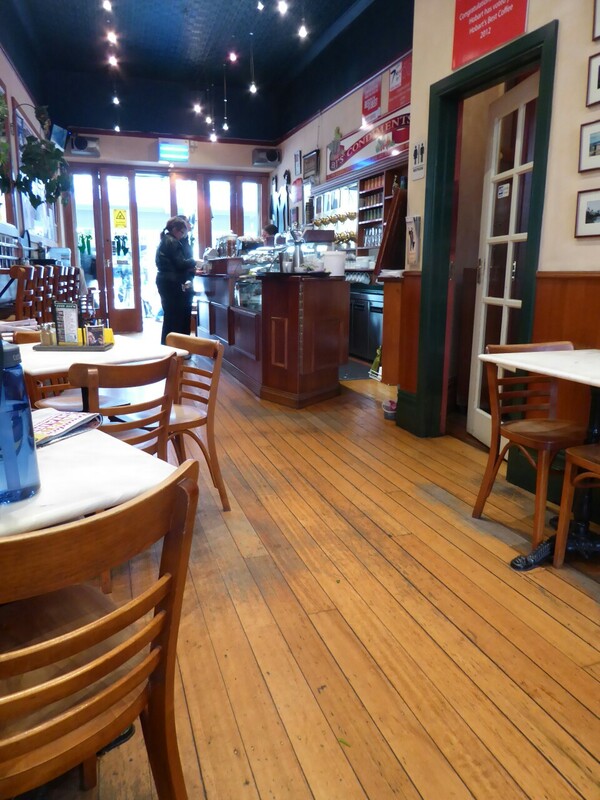 After that, I ended up heading to the Tasmanian Museum and Art Gallery. It was free admission, within walking distance of the city which was good. The Elizabeth St Mall shopping area in the CBD. 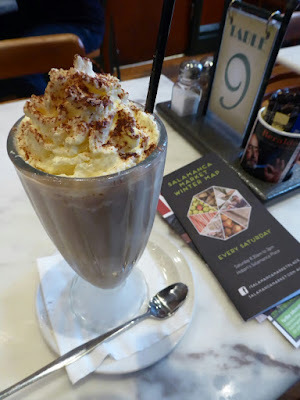 Ice chocolate at Beaujangles.. I think it was a little too much cream in the ice coffee for my taste. 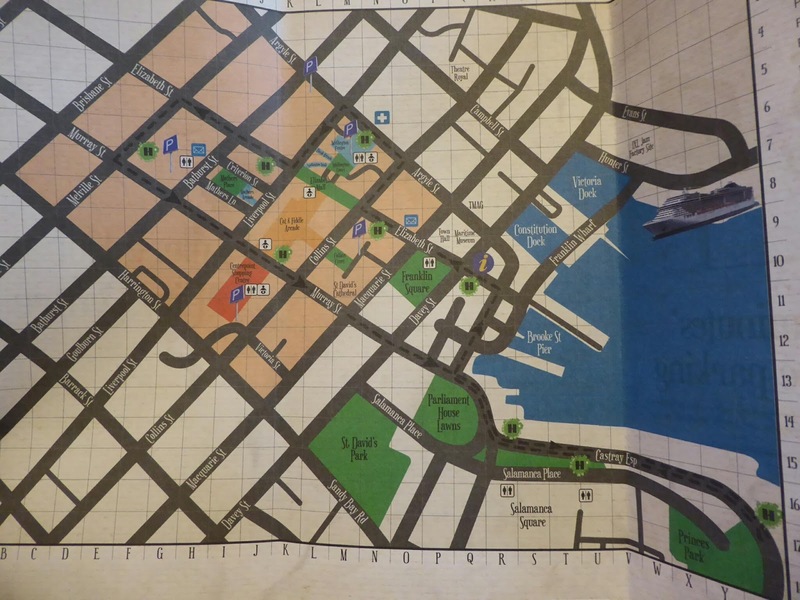 Floor map of the CBD area. In the evening, Miaw had to entertain guests at her home, so we went to Woolworths to get some supplies and go home to prep for dinner. 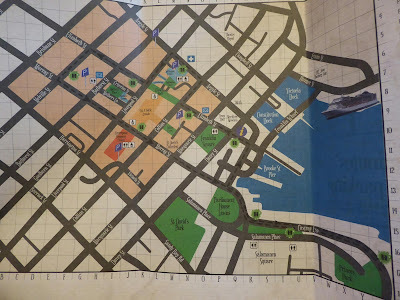 I decided to set up an event on meetup, for the weekend just for the heck of it.. We will see if anyone turns up or not. Lol. For dinner, Miaw ended up making lots of pasta, with leftovers for lunch, and I ended up putting my food container to good use. Lol. As I sat down in reflection as I complete this entry, I realised that I had needed to get away from Sydney in order to know how much I may miss it. Indeed there are some individuals that I am already beginning to miss, but the true test remains when we do not maintain contact with each other and keep on with our own lives as we go about our day.